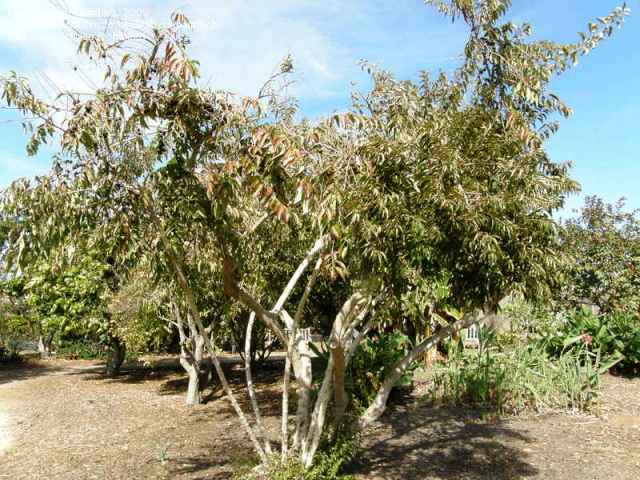 Synonyms: Aberia gardnerii, Rumea hebecarpa,. Ceylon gooseberry, also known as ketimbilla in America, is believed to be a native of Sri Lanka. It is cultivated on a very small scale for its fruits. A shrub or small tree, 4.5-6 m in height but its long, slender, arching, wide-spreading branches may cover 9 m of ground; spines sharp, upto 4 cm long, more on the trunk and lower branches; leaves alternate, elliptical to ovate, pointed, 7-10 cm long, wavy-margined, gray-green, finely velvety, with pinkish, woolly petioles, and thin in texture. 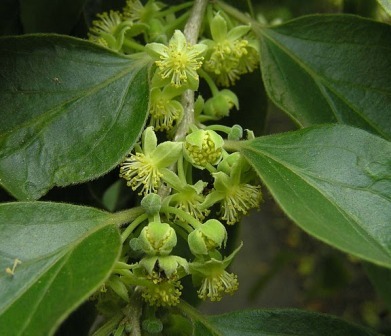 Male, female and hermaphrodite flowers borne on separate trees; flowers petalless, greenish-yellow, nearly1.25 cm wide and clustered in the leaf axils. 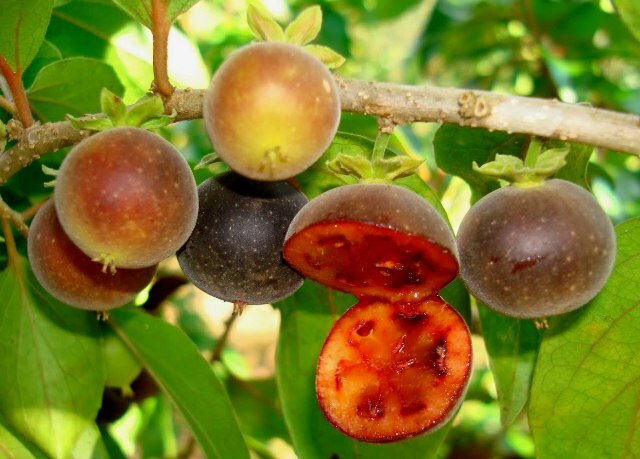 Fruit, globose, 1.25-2.5 cm) wide, initially orange but dark purple on ripening, coated with short, grayish-green, velvety hairs, pulp is very juicy, extremely acid, purple-red, enclosing 9 to 12 6 mm long hairy seeds. Ceylon gooseberry is a very heavy bearer and the fruits are borne in great abundance. The plant may bear multiple crops throughout the year at certain locations. This fruit is propagated by seed. The plant grows very quickly under ideal conditions. Plants will tolerate dry and wet soils, although lots of moisture is necessary for proper fruit development.